Hey faithful readers,,,,if I am sorry for the lag this week but alas, College/University resumed this week for the kids and me. I am taking Anatomy and Physiology of Speech and Hearing as well as Neural Basis of Speech, and a class that I hope turns out to be and Easy Peasy one….Educational Psychology. I will be in classes on Tues and Thursday from 4pm to 6:45 pm and on Mon and Wed from 7pm to 8:15pm. Yay ME!!!! If I am not a puddle of goo at the end of the semester it will be a really good thing. I am looking into getting a digital recorder….anyone have any suggestions on a type to buy? I am really going to need it in the A&P class…she talks really fast and I can’t write that fast and forget taking a lap top however I may give that a whirl too as I can type pretty fast!!!!! I am done with the first cuff 😦 Sad I know but I gave us until the end of February officially to finish the KAL. 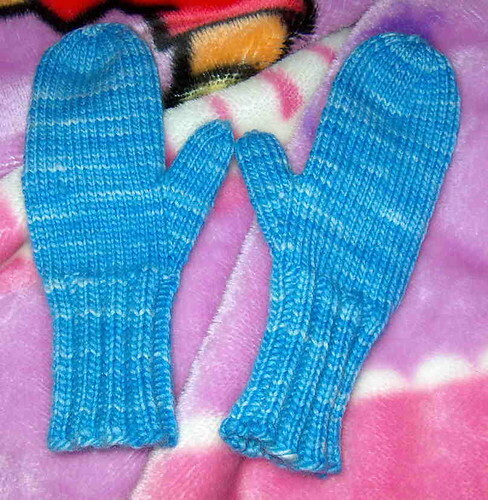 So hopefully I will get both mittens done in that time frame and if not…..Well at least I gave it a go right? I am doing another KAL as well on Facebook with some intrepid knitting friends and I am to the hand portion of it as well gonna start the thumb in about 14 more rounds. ahhhhhh the joys of knitting. Saturday will still be my regular Farm Day… Will be heading out to Jacobs on Saturday for some well earned R&R and co-hosting the event with Dina another faithful Barnie. It was a great day, that included, eating, spinning, knitting, crocheting, sharing recipes and patterns, a little dog love, lots of talking, and admiring beautiful felt upholstered stools and chairs. Ok I did it! I began casting on for our KAL. It is an interesting cast on for the Maplewood Mittens. I opted to go with Fishermans wool that I have in my stash. I am not quite finished with the cast on but it is coming along. I will post pics tonight when I get home from work. It turned out great! We had 9 guests. I wish I had taken pictures. I never take pics of out craft day. I really need to do that. Let’s see If I can remember who all was there. Jan, she came late, Elizabeth, Annie, Maggie, Seth, Sandra and Selma and Denise. Elizabeth was working on her plarn bags, Jan was working on a spiral scarf, Denise started something new not sure what it was, Seth was spinning, I finished my Red Dwarf Socks and cast on for a KAL I am doing on Facebook. Annie was working on socks too and Maggie was making squares. There was plenty of yummy food to share and lots of fun talking and knitting. I finished my Red Dwarf socks just to spite Annie. LOL. I cast on for another pair today. WHY? Because I want to learn how to do the after thought heel. 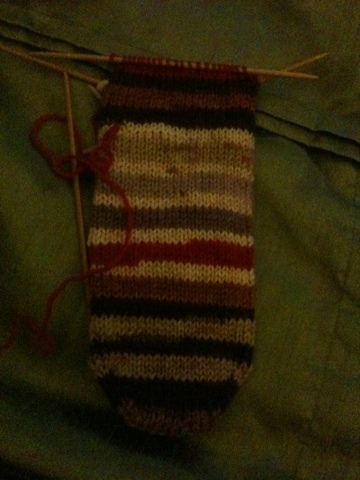 So I up to the heel and I have put in the waste yarn for the heel. Who is looking forward to Thursdays KAL? I know I am. A few people on the Ravelry are going to jump on board. 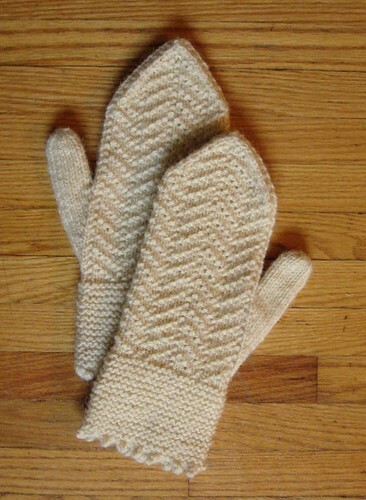 I need to go pick up another pair of double pointed needles and the yarn I want to use for the Maplewood mittens. I don’t know what color I want to make them, I guess the color will jump out at me while I am looking. Ok, Since I am really and truly trying to revamp this blog, I thought we would start a KAL. What is a KAL? KAL stands for Knit ALong! So Thursdays will be KAL Day. I will post my progress in the KAL and you guys can post your progress in the comments. I will set up a Flickr group as well where you can share links to your photos for others who are following our KAL can see. Now the big Question What will be our first KAL? Which we will start next Thursday. It think it should be something simple. I know most of you, like me are busy with other things in your life so you don’t have a lot of time to knit a BIG project. 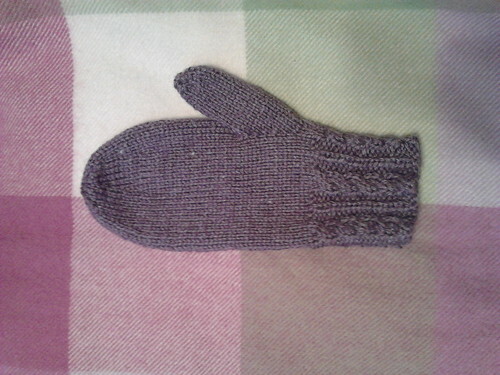 I think that in honor of Katie who never has a pair of mittens for herself, because she ALWAYS gives them away LOL. We should do a classic basic pair of mittens. Let’s let the Yarn do the talking, Pick a colorful self striping yarn. I saw this on Pinterest if you don’t know about Pinterest click the link to find out…then please please please don’t blame me for you becoming addicted!!!!! This is a cute little crocheted pinafore! I am beginning to really like crochet…probably because I have gotten better at it.